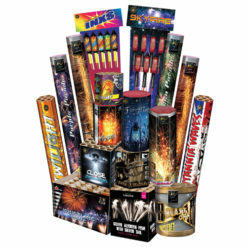 This pack contains a selection of small fountains, roman candles, cakes, barrages and small rockets. We would recommend a minimum safety distance of 15 metres. 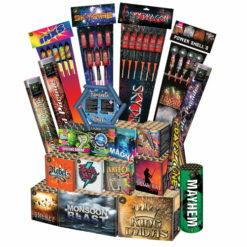 Please read all the instructions on the fireworks and see our free safety guide for more information. Our Mini Gods 3 Pack punch above their weight. These three mighty 7 shot cakes offer great effects with Hades bringing gold tails to gold brocade stars. Zeus firing gold tails to gold glitter, and green tails to spinners. Athena shoots silver crackling tails and silver glitter bouquets. Some were good but most of the smaller ones were quite disappointing. 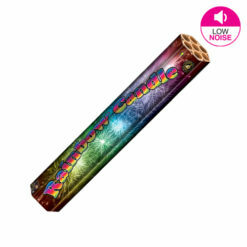 Only one of the ground based fireworks was actually quite good. 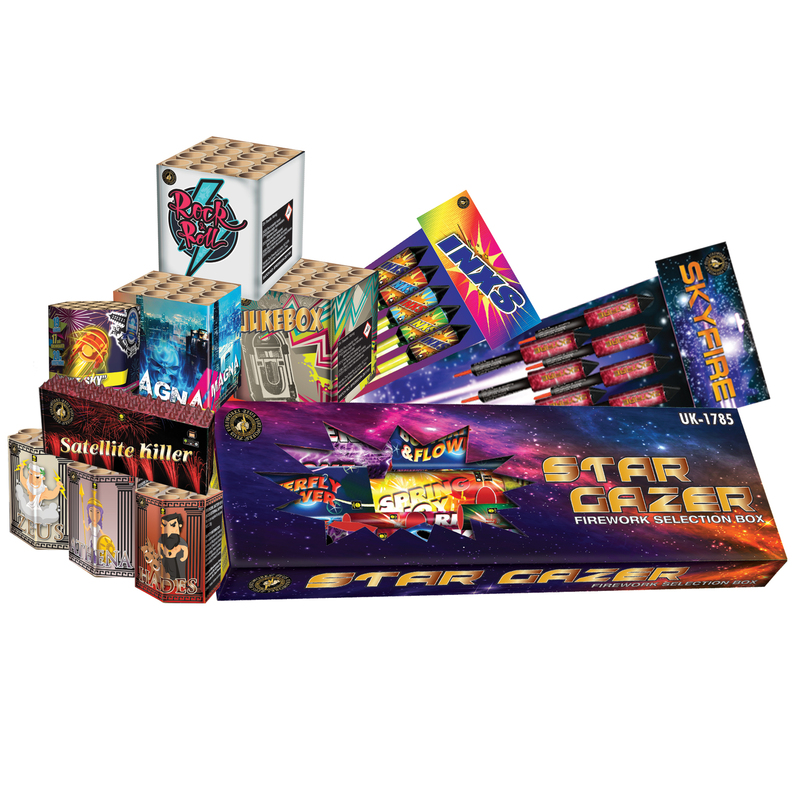 I teamed this package with a pack of the nitro rockets which I recommend. Big radius of colour and not too loud. Nitro rockets were worth it. Kids still enjoyed it.